We are looking for motivated per diem professionals to fill the positions of counselors/expressive therapists and executive functioning tutors. Licensed Mental Health Counselor (LMHC) or Licensed Independent Social Worker (LICSW), with Massachusetts license required. Masters level or Post Masters training and experience in providing individual and family based counseling. Experienced regarding work with children, adolescents and families. 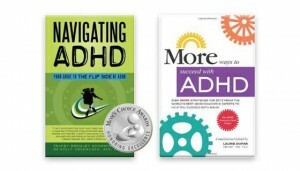 Demonstrated knowledge of ADHD and other DSM disorders. The applicant will be expected to adhere to Navigating ADHD treatment practices including individual strategy based therapy, family and treatment team communication and ethical practices. The tutor that is hired must have a background in education and/or mental health and possess a master’s level degree. Candidates must possess strong communication skills and enjoy working with a team of professionals. Experience must include professional development in the areas of ADHD/Executive Functioning. The applicant will be expected to adhere to Navigating ADHD treatment practices including individual strategy based therapy, family and treatment team communication and ethical practices. The specialists that are hired must have a background in education and possess a master’s level degree. Candidates must possess strong communication skills and enjoy working with a team of professionals. Experience must include professional development in the areas of ADHD/Executive Functioning. The applicant will be expected to adhere to Navigating ADHD treatment practices including individual strategy based therapy, family and treatment team communication and ethical practices. Ideal candidates for all positions will be organized, motivated and passionate for inspiring and supporting children, teens and adults.